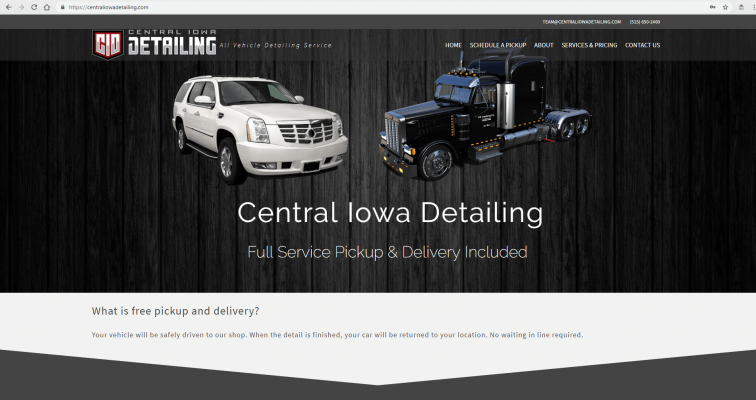 Central Iowa Detailing purchased the company Taxi Shine that we initially worked with, and CID decided to continue working with us as their web presence provider. They still offer free pickup and delivery, as well as focus on the ability to detail any vehicle. We were responsible for building an entire new website as well as transferring many business items. Switch Google My Business ownership.